The product has evident anti-thrombus and thrombolytic effects. 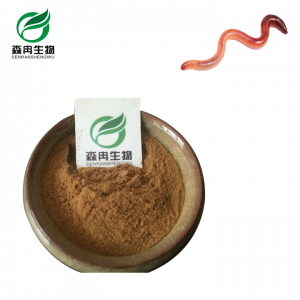 Lumbrokinase in the medical profession is known as the King of thrombolytic therapy, extraction in the earthworm. Apply to the affected area after the rapid infiltration of silt to dissolve the clot resistance to vascular flow, varicose veins falling gradually. Treating angina pectoris, cerebral infarction, diabetes, nephrotic syndrome, pulmonary heart disease, and deep vein thrombosis.